For the amphibious life. Simple microfiber mesh uppers breathe when you're dry and drain when you're wet. The outsoles are non-marking and the anatomical footbeds are removable. We recommend ordering a half size smaller than what you would typically order. OUTSOLE- All weather rubber outsole with heavy gauge sidewall stitch. Non-marking rubber. FOOTBED- Long lasting anatomical contoured footbed with Dri-Lex microfiber cover. Removable and washable. Drop-In Heel- Our Versatile Drop-In Heel offers both a shoe and slide functionality. Moisture-Wicking Microfiber Lining- Our soft and silky microfiber lining is designed for an active lifestyle, wicking moisture away from the foot for a drier feel. 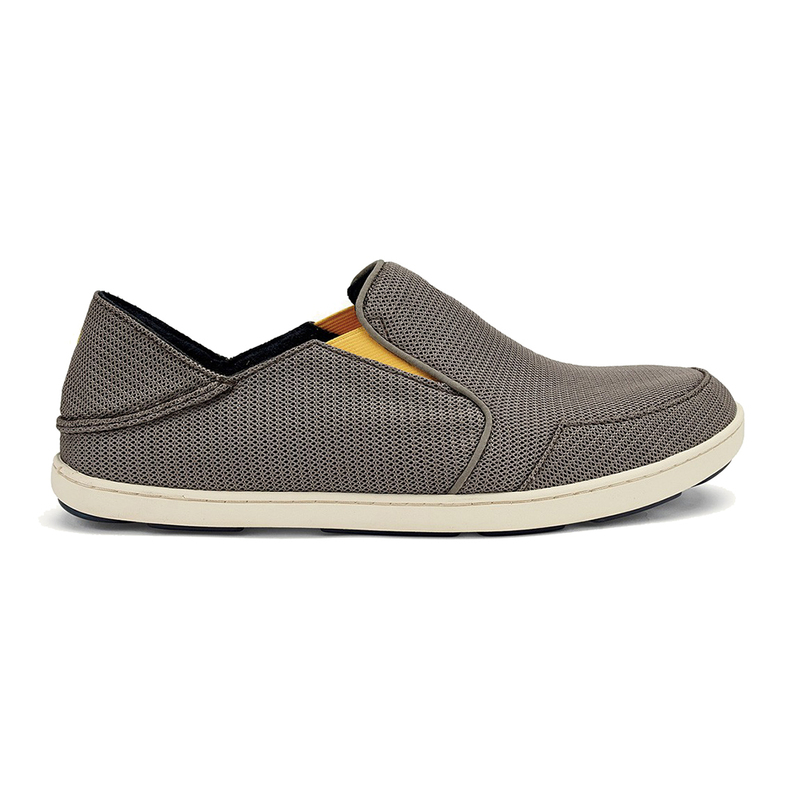 Removable Footbed- OluKai footwear is designed as the perfect environment for your foot. With this in mind, we have crafted our footbeds to be easily removable and washable.